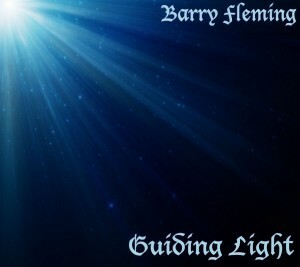 Guiding Light was written in or around the time of the Household Honey EP launch. I sent it out just as a white label demo to a few stations in the hope it might appeal to listeners on a different level. Where Household had the ‘quirky clarinet’, Guiding Light was all about the lyrics and came straight from the heart. I also didn’t want to be thought of as just as a ‘one-trick pony’, but knew that my next song had to be ‘pretty special’. By this time I had my original website created and on average was getting between 200 – 300+ emails a week from people wanting to know and find out more. When Guiding Light was first aired everything slowed down and I remember thinking ‘that’s it, I’ve had my time – it was fun’. Then my ‘in-box’ began to fill again, only this time things were very very different. I had written on my website that I was a big believer in wanting anyone who hears my music to make it ‘theirs’. I wanted to leave a certain amount of mystery in Guiding Light where the listener could almost fill in the blanks with their own experience and thus make it a little more personal to them. The emails I started receiving regarding Guiding Light were now very different from previous ones. People were thanking me for the inspiration it gave, or sharing stories about loved ones who had passed on and how Guiding Light was helping them cope in some way. It was a strange time for me as a songwriter, and it completely changed my plans for Guiding Light – and the next eight months!! I’d been planning on releasing the song as a sole digital release, but after getting lots of requests for a physical cd version (not everyone are fans of downloads); I decided to not only grant the peoples’ wishes, but to create a fully-fledged 12-track album which would also have new songs specially written for it, including Household and some other favourites from my earlier EP. The ‘Rainbow Run’ Project had begun – and all because of a song called Guiding Light and the people who shared some amazing stories with me.